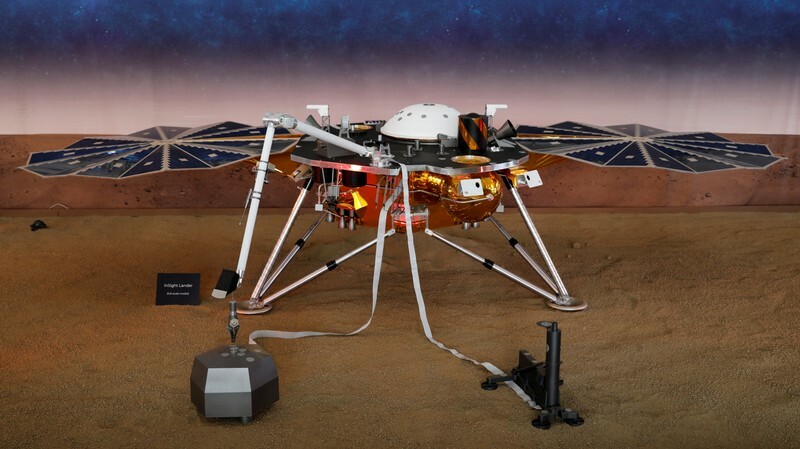 (Reuters) – NASA’s robotic probe InSight has detected and measured what scientists believe to be a “marsquake,” marking the first time a likely seismological tremor has been recorded on another planet, the Jet Propulsion Laboratory in California reported on Tuesday. The faint rumble characterized by JPL scientists as a likely marsquake was recorded on April 6, the lander’s 128th Martian day, or sol. Scientists are still examining the data to conclusively determine the precise cause of the signal, but the trembling appeared to have originated from inside the planet, as opposed to being caused by forces above the surface, such as wind, JPL said in a news release. “We’ve been collecting background noise up until now, but this first event officially kicks off a new field: Martian seismology,” InSight principal investigator Bruce Banerdt said in a statement. The tremor was so faint that a quake of the same magnitude in Southern California would be virtually lost among the dozens of tiny seismological crackles that occur there every day, JPL said. The April 6 rumble on Mars stood out because the surface of the red planet is extremely quiet in comparison with Earth. The size and duration of the marsquake also fit the profile of some of the thousands of moonquakes detected on the lunar surface between 1969 and 1977 by seismometers installed there by NASA’s Apollo missions, said Lori Glaze, planetary science division director at NASA headquarters in Washington. No estimated Earth-magnitude equivalent was immediately given for the apparent marsquake. Three other apparent seismic signals were picked up by InSight on March 14, April 10 and April 11 but were even smaller and more ambiguous in origin, leaving scientists less certain they were actual marsquakes. The research vessel, which belongs to the Japan Agency for Marine-Earth Science and Technology, is fitted with advanced scanning equipment and is carrying an unmanned submarine capable of operating hundreds of meters below the ocean surface. Rushing to recover the wreckage of a Japan Air Self-Defence Force (JASDF) F-35A stealth fighter which crashed earlier this month off the country’s northeastern coast, Japanese authorities have announced the deployment of a special vessel as part of the search effort. “At this time, following a request from the defense ministry and the maritime self-defense forces, the Japan Agency for Marine-Earth Science and Technology research vessel Kaimei has joined the search,” Japan’s Defence Minister Takeshi Iwaya said, as quoted by Financial Times. Owen Shroyer breaks down how the MSM pushes for more war and death. According to the newspaper, the ship is equipped with echo-sounders and magnetometers, and is also carrying an unmanned submersible capable of reaching depths of up to 3,000 meters. Earlier this month, Iwaya also said that “the F-35A is an airplane that contains a significant amount of secrets that need to be protected”, and that the country would ground all of its aircraft of this type in the wake of the incident. The JASDF’s F-35A Lightning II Joint Strike Fighter, flown by 41-year-old Major Akinori Hosomi, reportedly disappeared from radars on 9 April during a training flight about 135 kilometers (84 miles) east of the Misawa Air Base in Aomori prefecture. This incident became the first case of an F-35A crashing as the warplane has entered service in various countries after being introduced in 2016. Alex Jones presents a video of Lou Dobbs during his Fox program where he warns his viewers that the French investigation into what exactly started the Notre Dame fire may be covering up the very realistic possibility of arson. The new findings, published April 15 in Nature Astronomy, are the first confirmation of just how deep some of Titan’s lakes are (more than 300 feet, or 100 meters) and of their composition. They provide new information about the way liquid methane rains on, evaporates from and seeps into Titan — the only planetary body in our solar system other than Earth known to have stable liquid on its surface. Scientists have known that Titan’s hydrologic cycle works similarly to Earth’s — with one major difference. Instead of water evaporating from seas, forming clouds and rain, Titan does it all with methane and ethane. We tend to think of these hydrocarbons as a gas on Earth, unless they’re pressurized in a tank. But Titan is so cold that they behave as liquids, like gasoline at room temperature on our planet. On the eastern side of Titan, there are big seas with low elevation, canyons and islands. On the western side: small lakes. And the new measurements show the lakes perched atop big hills and plateaus. The new radar measurements confirm earlier findings that the lakes are far above sea level, but they conjure a new image of landforms — like mesas or buttes — sticking hundreds of feet above the surrounding landscape, with deep liquid lakes on top. The fact that these western lakes are small — just tens of miles across — but very deep also tells scientists something new about their geology: It’s the best evidence yet that they likely formed when the surrounding bedrock of ice and solid organics chemically dissolved and collapsed. On Earth, similar water lakes are known as karstic lakes. Occurring in in areas like Germany, Croatia and the United States, they form when water dissolves limestone bedrock. Alongside the investigation of deep lakes, a second paper in Nature Astronomy helps unravel more of the mystery of Titan’s hydrologic cycle. Researchers used Cassini data to reveal what they call transient lakes. Different sets of observations — from radar and infrared data — seem to show liquid levels significantly changed. Alex Jones opens the phone lines to currently practicing and former members of the Muslim faith and challenges listeners to change his mind about Islam. 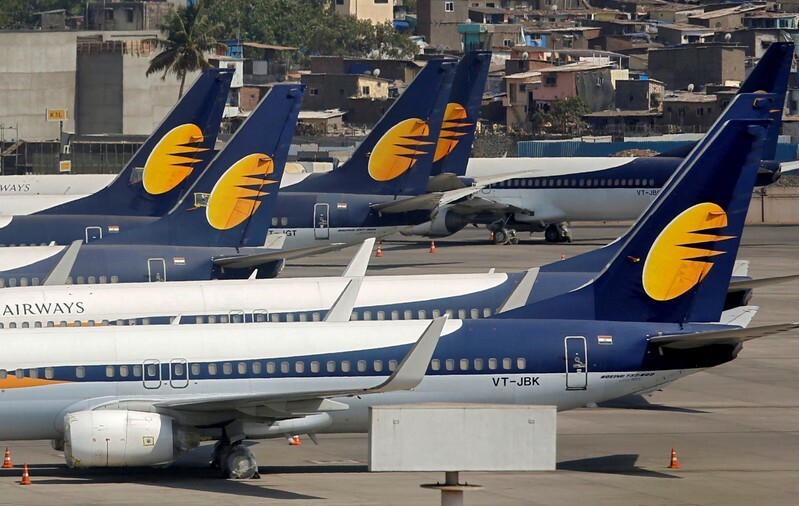 MUMBAI (Reuters) – India’s Jet Airways is constantly engaging with the government and lenders for a resolution of the current debt crisis and will not leave any stone unturned to revive the airline, its chief executive officer Vinay Dube told television channel ET Now in an interview. Once India’s largest private airline, Jet halted all flight operations indefinitely last Wednesday evening after lenders led by State Bank of India declined to extend more funds to keep the carrier going. “We are in constant touch with the lenders on how to get it (debt resolution) done in a manner that makes sense for them and makes sense for us,” Dube told ET Now. “But I would like to think that a flying Jet Airways makes definite sense for them (banks) because it preserves their value as well. So we are not talking about anything that does not make good economic sense for the lenders, this is not charity for the sake of it”. The company has requested banks for 10 billion rupees ($143.29 million), Dube said. Earlier in the day, newspaper Business Standard reported that all shortlisted bidders for the company had backed out of the bidding process that is due to complete on May 10. Dube, however, said he was hopeful of finding a keen, healthy investor who can inject the requisite amount of equity into the company. The government plans to form a committee to temporarily allocate takeoff and landing slots left vacant by the grounding of Jet Airways flights, a senior official said last week. Dube, however, said the government had assured the airlines this was a temporary move and the slots will be protected for the airline once they start flying again. “While we have a combination of aircraft that are being deregistered or early terminated, the majority of them have not left the premise,” Dube said referring to the aircraft and said they will be available to the airline when it starts flying again. 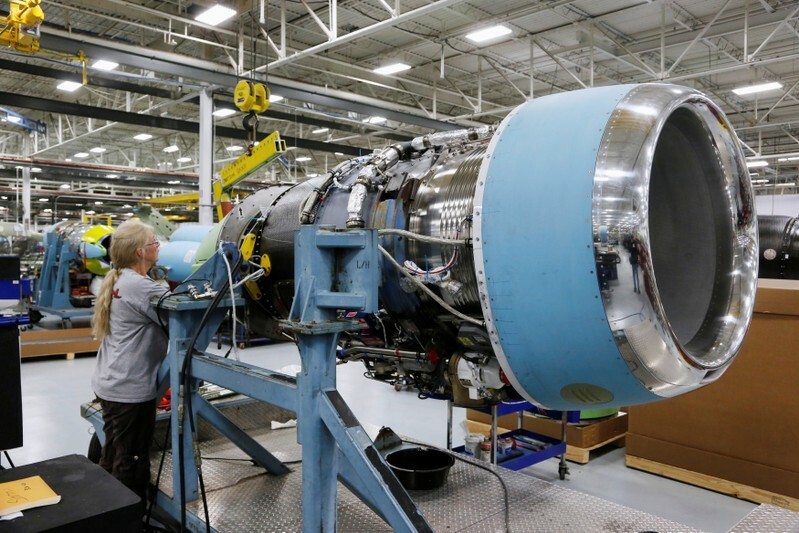 (Reuters) – Textron Inc said on Wednesday it expects the final certification of its newest Longitude business jet in the third quarter of 2019, after it was delayed for several months. The company is expecting major revenue growth in 2019 from the sales of the Longitude jet and said deliveries of the aircraft would begin in the third quarter of this year. “We continue to coordinate closely with the Federal Aviation Administration as our engineer group works to complete the underlying documentation that is required under the FAA’s design assurance process,” Chief Executive Officer Scott Donnelly said. Alexis Gardner, a former girlfriend of Whiteside, retained Avenatti to negotiate a potential lawsuit against Whiteside and Avenatti struck a $3 million deal. Whiteside made an initial $2.75 million payment to Avenatti in January 2017 but none of the money was passed on to Gardner, according to the report. Avenatti was entitled to just over $1 million in legal fees but hid the payment from Gardner, according to prosecutors, and took $2.5 million to buy a share of a private jet. Avenatti was indicted on April 10 by a grand jury in Santa Ana, Calif. Gardner is one of five people who had money stolen from them by Avenatti, prosecutors said. According to prosecutors, Avenatti repeatedly told Gardner that Whiteside wasn’t making his payments. Eventually, Avenatti made 11 payments to Gardner over a 15-month period — always misrepresenting them as a payment from Whiteside — totaling $194,000 before stopping in June 2018. 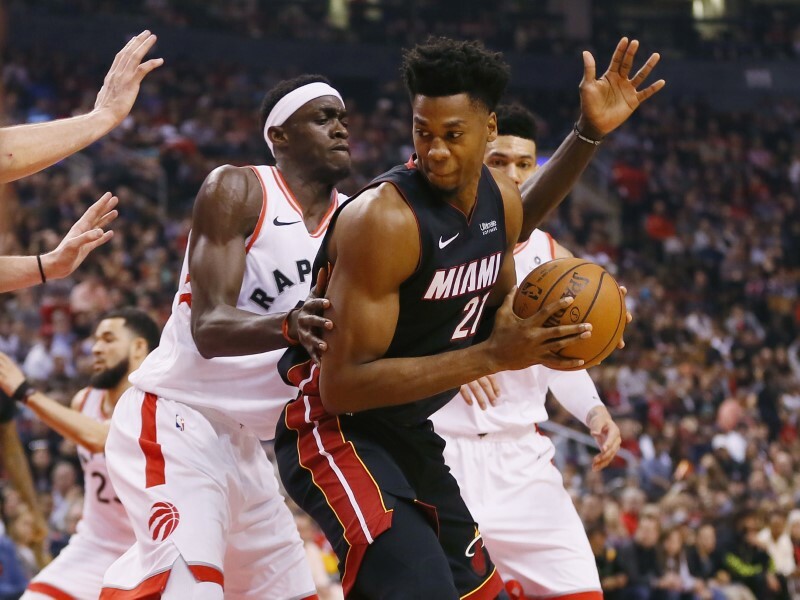 The reason for a $3 million settlement isn’t publicly known and Whiteside offered no explanation in a joint statement provided to the Los Angeles Times. “We entered into a mutually agreed upon settlement more than two years ago following the end of our relationship; a settlement that reflected Alexis’ investment of time and support over a number of years as Hassan pursued a career in the NBA,” Whiteside and Gardner said in a statement released by Whiteside’s agent. Last month, Avenatti was charged with attempting to extort up to $25 million from Nike by threatening to expose misconduct by Nike employees involving payments to college basketball players. He mentioned former Arizona center Deandre Ayton and Oregon big man Bol Bol as players who received money from Nike as recruits. About 10 days later, Avenatti said the mother of Duke star Zion Williamson was paid by Nike for “bogus consulting services” as part of the deal to get Williamson to choose the Blue Devils. Avenatti jumped into the public eye when he was the attorney for adult film star Stormy Daniels during her legal battles with President Donald Trump. He and Daniels parted ways earlier this year. Whiteside, 29, just completed the third season of a four-year, $98 million contract. He averaged 12.3 points and 11.3 rebounds in 72 games (53 starts) this past season. MONTREAL (Reuters) – Canada’s Bombardier Inc sees higher sales from modernizing existing rail cars as the company works to further diversify its largest division as measured in revenue, a spokesman said this month. Bombardier projects that a quarter of its transportation division’s expected 2020 revenue of $10 billion will come from rail services, up from 18 percent in 2014, according to a company investor presentation. Rail services include retrofitting, operations and maintenance. The Montreal-based company is counting on its transportation and corporate jet divisions for growth as it sheds its money-losing commercial aviation businesses. It closed a deal last summer to cede a controlling stake in its largest narrowbody program to Europe’s Airbus SE. But the company has wrestled with execution problems and delays on rail contracts that led earlier this year to the temporary halting of car deliveries in New York because of air compressor software defects, and in Switzerland because of faulty doors. New York deliveries have since resumed. As it pursues retrofitting contracts, Bombardier is eying a possible plan by the largest U.S. rapid transit system to modernize around 1,000 subway cars made by the company in the late 1990s and early 2000s, according to two sources familiar with the matter. The New York City Transit Authority is weighing a plan to retrofit its R142 subway car fleet with modern technology like Wi-Fi, but has not formally called for bids, one of the sources said. Sources declined to be identified as the discussions are confidential. Transit agencies, which have traditionally bought new cars, are considering retrofits to respond to customer demand for amenities like Wi-Fi and accommodations for disabled riders. According to the American Public Transit Association (APTA), the average U.S. subway and commuter rail car is now around 22 years old, about halfway through its 40-year life span and still young enough to retrofit. A spokesman for New York’s Metropolitan Transportation Authority (MTA), which oversees NYC Transit, did not respond to requests for comment. Bombardier declined to comment on New York, but the company spokesman sees demand for retrofitting as manufacturing costs rise. “With increasing costs to produce new trains and the limited availability of federal funding support for large rolling stock acquisitions, a potential exists for reinvesting in existing rolling stock equipment,” company spokesman Eric Prud’Homme said by email. Prud’Homme would not disclose details about the division’s sales or margins from retrofitting. Retrofitting delivers higher margins and is considered less risky than building new, because the complexity of some vehicle orders can lead to delays, rail industry executives say. Among its retrofitting orders, Bombardier won a $255 million contract to upgrade trains in Australia earlier this month. Modernizing, however, brings challenges for agencies because it takes vehicles out of service to be retrofitted. Such a move risks creating gridlock in New York City which “is already busting at the seams,” said one of the sources. Prud’Homme said retrofitting can generally accommodate agencies by conducting the work when cars are taken out of service for regular maintenance. New York City Transit Authority President Andy Byford recently left the door open to Bombardier winning more work because of improvements on their contract. 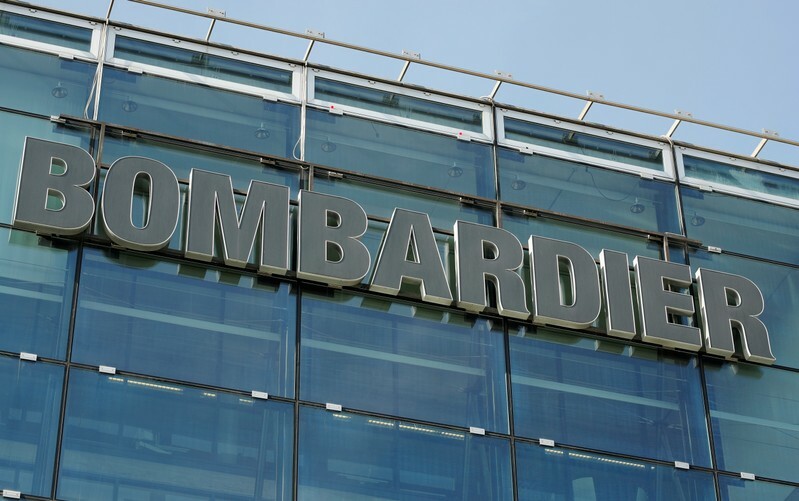 “The more they (Bombardier) now deliver and the more the units work straight out of the box … and the fewer the defects when they turn up, the stronger case they make in the future,” Byford told reporters on the sidelines of the agency’s March board meeting. Embattled celebrity lawyer Michael Avenatti has been accused of embezzling almost $2 million after he struck a lucrative settlement for the former girlfriend of NBA player Hassan Whiteside. Avenatti, as the attorney for Alexis Gardner, 27, negotiated a $3 million deal for the actress and barista, $2.75 million of which Miami Heat player Whiteside, 29, wired to a trust account set up by Avenatti in January 2017, according to bank records and an Apr. 10 indictment by a California-based grand jury. Avenatti was entitled to $1 million in legal fees, but he did not tell Gardner about the payment and misrepresented the terms of her agreement with Whiteside, prosecutors allege in the indictment. Instead, he funneled $2.5 million into the bank account of a law firm owned by an associate so he could buy a share of a small private jet. (Reuters) – India’s SpiceJet Ltd said on Friday it will prioritize hiring employees of Jet Airways Ltd who are losing their jobs after the crisis-hit Indian airline halted all flight operations indefinitely this week. Hundreds of Jet Airways employees protested in Delhi and Mumbai on Thursday to push its management for answers about their future after the airline shut down all flight operations on Wednesday having failed to secure new funding from its lenders. Jet Airways has lost many employees as the crisis unfolded. About 400 pilots have moved to other airlines, leaving Jet with about 1,300 pilots, a senior Jet pilot told Reuters. About 40 engineers have also left, a senior engineer said. Lenders, led by State Bank Of India, say they are hopeful of a successful bidding process for Jet. The carrier is saddled with about $1.2 billion in debt. 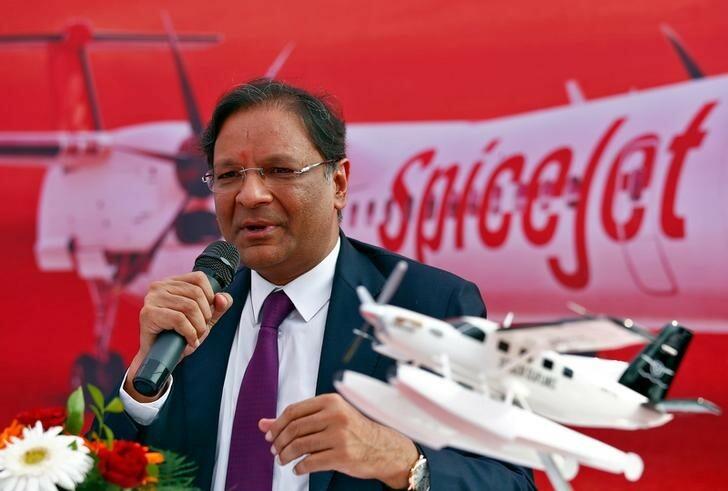 Low cost carrier SpiceJet, which pledged to add 27 planes over the next two weeks to help to fill in the slots left vacant by Jet’s grounding, said that it is making all possible efforts to minimize passenger inconvenience. The government plans to form a committee to temporarily allocate takeoff and landing slots left vacant by the grounding of Jet’s flights, a senior official said on Thursday. Local airlines including InterGlobe Aviation Ltd and state-run Air India are likely to benefit. Air India on Thursday offered special fares to passengers stranded in international routes due to Jet’s grounding. Cobb died in Florida at age 88 on March 18 following a brief illness. News of her death came Thursday from journalist Miles O’Brien, serving as a family spokesman. None of the Mercury 13 ever reached space, despite Cobb’s testimony in 1962 before a Congressional panel. “We seek, only, a place in our nation’s space future without discrimination,” she told a special House subcommittee on the selection of astronauts. “She should have gone to space, but turned her life into one of service with grace,” tweeted Ellen Stofan, director of the Smithsonian Institution’s National Air and Space Museum and a former NASA scientist. The Soviet Union ended up putting the first woman into space in 1963: Valentina Tereshkova. NASA didn’t fly a woman in space — Sally Ride — until 1983. Cobb and other surviving members of the Mercury 13 attended the 1995 shuttle launch of Eileen Collins, NASA’s first female space pilot and later its first female space commander. “Jerrie Cobb served as an inspiration to many of our members in her record breaking, her desire to go into space, and just to prove that women could do what men could do,” said Laura Ohrenberg, headquarters manager in Oklahoma City for the Ninety-Nines Inc., an international organization of licensed women pilots. “It just didn’t work out then, and I just hope and pray it will now,” she added. It didn’t. NASA never flew another elderly person in space, male or female. Geraldyn Cobb was born on March 5, 1931, in Norman, Oklahoma, the second daughter of a military pilot and his wife. She flew her father’s open cockpit Waco biplane at age 12 and got her private pilot’s license four years later. The Mercury 13’s story is told in a recent Netflix documentary and a play based on Cobb’s life, “They Promised Her the Moon,” is currently running in San Diego. In her autobiography, Cobb described how she danced on the wings of her plane in the Amazon moonlight, when learning via radio on July 20, 1969, that Apollo 11’s Neil Armstrong and Buzz Aldrin had landed on the moon.